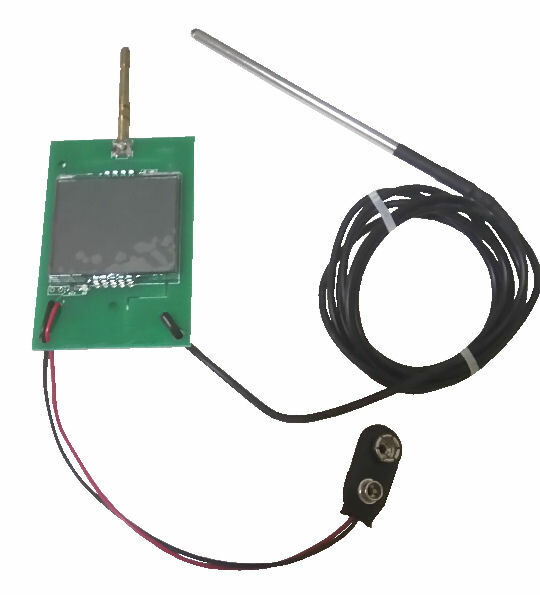 Operate by a 9V battery, pulse probe digital meter detects high voltage pulse and measures the energy if the electrical pulse. The measurement range from 1KVolt to 10KVolt. 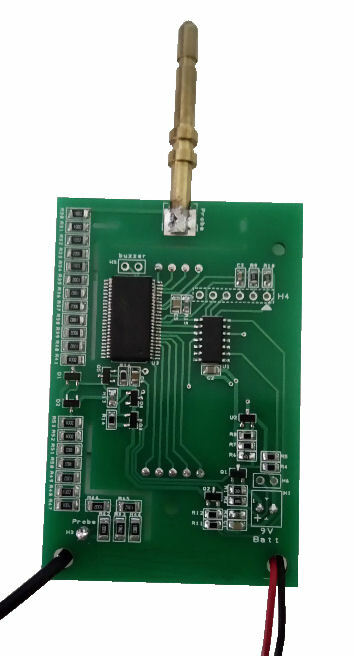 The main probe that is mounted onto the PCB board will be used for touching the line with the high electrical pulse. The wired probe is extended and will be inserted into the ground earth for reference. The device also displays the battery lifespan and blinks when the battery level is too low. Contact PIC-CONTROL to custom design and develop a high voltage pulse measurement electroic sensing device.